One of the coolest things that we can do at our company is brick paving. 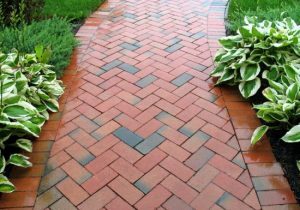 If you move or just randomly decide that your home needs a brick path in the back of your home then we are the ones for you. We have been at this for a really long time and know exactly what you need to make sure that your bricks turn out amazing. The best time to hire us is after you move. Chances are you have gotten into a brand new home and don’t exactly know what your home is missing. That is why we are the perfect company to call. We can make your home look beautiful in just a few hours. If you don’t like the way it turns out when we are done, that is no issue! We can do whatever you need to make sure you have the most beautiful home in the area. Give us a call and we will let you know exactly what we can do to make sure your home looks the best that it ever has. The BayC Asphalt Repair workers can fix anything that has to do with asphalt. If you need a new driveway, we are the ones to call. We have been working with this kinds of stuff for years and have done a really good job to make sure that everything looks perfect when we are done. When you hire us, you are the boss and we will listen to whatever you say. It is your home and we want it to be amazing when we are done with it. Don’t wait any longer, give us a call today and we will send someone out your way the second you call us. Our company is the best in the area and you will find that out too.